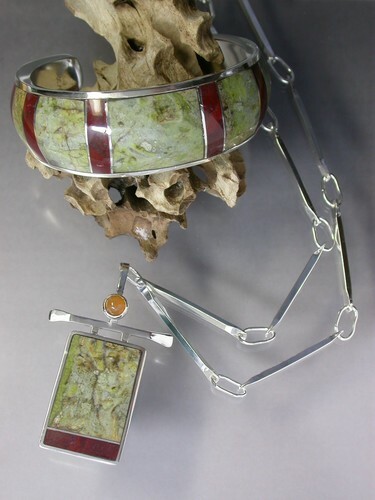 I make one-of-a-kind sterling silver jewellery, often incorporating stones that I have cut and polished myself, such as in this bracelet and pendant using self-collected stones from Vancouver Island beaches. I also take commissions and can make jewellery designed to your specific wishes. 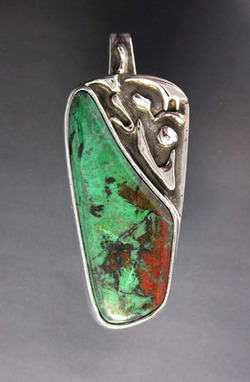 The stone in this pendant is "Sonora Sunset" (a mixture of blue-green chrysocolla and red cuprite)from Mexico. 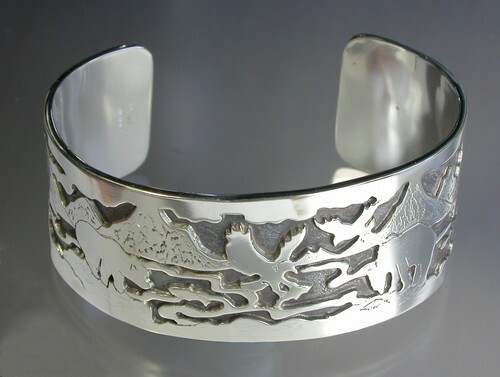 Many of my designs are inspired by the natural world around me, as in this "salmon run" bracelet. 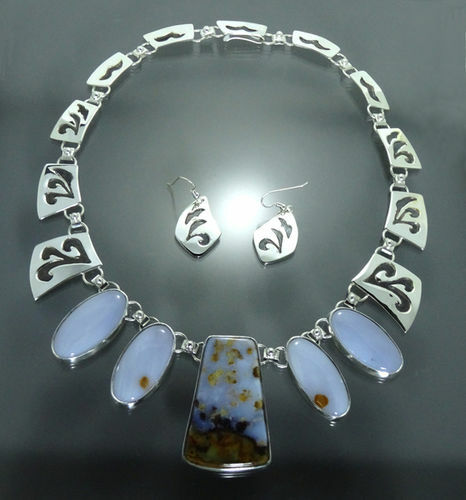 This "From Ocean to Sky" necklace and matching earrings display natural stones of "polkadot agate from Oregon and a design that signifies ocean waves that morph into abstract gulls. 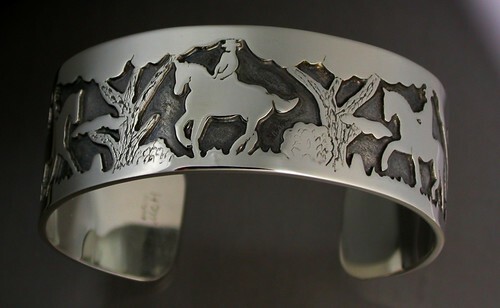 Horse-themed jewellery is also my speciality, as in this bracelet showing different dressage movements. Although my studio is closed to the general public for most of the year, it is open each year for the Visions Studio Art Tour (see www.visionsarttour.ca). You can contact me during the rest of the year by phone or email to see if I have the â��special pieceâ�� that you are looking for, or if you want to commission a unique piece of jewellery. Check my website (www.micheleheath.ca) for other venues during the year where I show and sell my work.